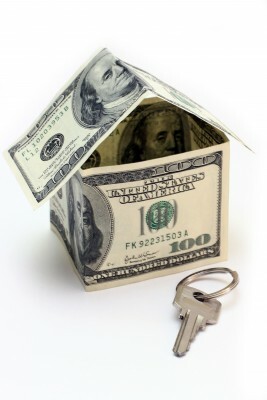 Rental income is the lifeblood of the landlord’s business. If the mechanisms are not put in place to bring in the right amount at the right time each month, the business will eventually wither and die. When properly performed, this is what allows top real estate investors to achieve a higher than average return on investment. How do they determine their rental rates? There is a science behind maximizing rents. For a property manager to achieve this requires them to have knowledge of the local market and perform solid research on the last 10-20+ most recently rented comparables. Rules of thumb like the 1% rule (charging 1% of the property's value as the monthly rent) are handy for reference, but can not replace thorough research using current market data. Aside from affecting rental income, your rental rate can also impact the properties value. The goal should be to get the unit rented within a month. How often do they raise rents? Rental rate surveys should be performed at least annually, and more frequently if there are vacancies or lease renewals. Do they put contractual escalators in the lease? Contractual rent escalators allow the rents to be raised without the need to negotiate, offer an explanation or give notice. Tenants know they have already agreed to it so it doesn't feel arbitrary, and tenants are actually grateful if the firm decides to not enforce the full rate hike. It’s a plus if the management company offers direct debit for tenants. Processing fewer checks improves cash flow and saves time and money. This lets you know as soon as possible if funds aren't there and eliminates excuses about checks lost in the mail. How do they deal with bounced checks? This is usually a warning sign of trouble ahead; after the first bounced check tenants should be prohibited from writing personal checks until at least 6 months of good payment history has been established. Additionally, there should be a provision in the rental agreement that says tenants agree to pay the maximum the law allows for all returned checks. How do they deal with delinquent payments? 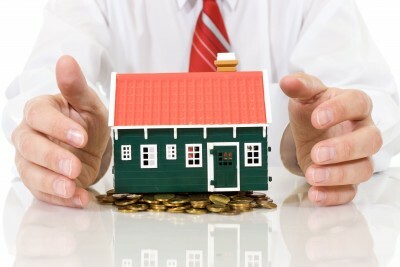 Find a property management company with a process that is firm but reasonable. Tenants will start paying later and later if the management company lets them, therefore it is imperative they enforce ALL aspects of the lease. Once they identify a tenant with a trend of delinquencies, they should keep a close eye making sure they either get back on track or deal with the consequences. Remember that a strict collections process is only balanced out by the property manager quickly responding to tenants’ needs with quality service. What is their current rate of delinquency? Find out if they run a tight ship or allow things to get out of hand. When is rent due? Is there a grace period, if so how long? Due on the first day of the month (in hand not postmarked), late on the second day of the month is standard. A grace period that extends to either the 3rd or the 5th is also standard. Keeping it shorter prevents it from getting significantly delayed in the event of a holiday or long weekend. While late fees can generate revenue, their primary function is to get tenants back on track to timely payments as quickly as possible. This property management fee is typically between five and ten percent of rent, sometimes a small daily fee is added to this as an incentive to catch up ASAP. In theory, the late fees are supposed to reflect the penalty the owner would experience in the event of a late mortgage payment. Their process should be well documented, and although the best course of action will vary based on the circumstances, they should be able to explain to you the basic checklist they go through each time. You want to deal with a company that acts quickly, documents their actions, and understands your area’s unique laws for this process. In the last year, roughly how many evictions did they experience, out of how many properties being managed? The higher the number, the less confidence you should have in their screening process. How quickly do they usually get repossession of the property when an eviction takes place? Time is money, and a smart tenant with bad intentions can drag this process out for a very long time. Find a manager who excels at containing and eliminating the problem as quickly as possible. Do they provide eviction insurance? This is basically a small monthly fee that insures that the management company will pay for all attorney and court costs associated with evicting a tenant they placed. It's not a widely offered service, but it’s a valuable service that speaks to the property management companies confidence in their screening process. Cashflow may be strong now, but rent will inevitably decrease over time if the property is not well maintained. Keep reading to find out how to determine if a management company has a strong preventative maintenance and repair program in place. Next: Property Maintenance and Repairs.